A spring tradition at DePaul for over twenty years, faculty and instructional staff are invited to share what works in the classroom with their peers. The theme of this year's conference, “Exploring the Power of Purpose,” invites us to reflect on our sense of personal meaning and connection to social purpose as educators. How can a sense of purpose impact the way we teach and engage with our students? And how we can help our students discover and use their own knowledge, skills, and abilities in ways that not only benefit themselves but also the common good? 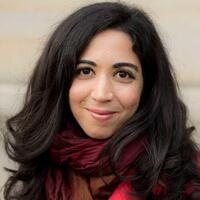 Our keynote speaker, Emily Esfahani Smith, has extensively researched and written on the concepts of purpose and meaning. Her first book-length treatment of the subject, The Power of Meaning: Crafting a Life that Matters, offers a theory of meaning involving four pillars: belonging, purpose, storytelling, and transcendance. She draws from the social sciences as well as examples from literature and the lives of others to explain how we can create communities and institutions where meaning is shared and valued. More information available at the conference website.